The HXR-NX3 is a professional camcorder that features three 1/2.8-inch Exmor™ CMOS sensors for outstanding image quality. Dual media slots allow simultaneous or relay recording in AVCHD 2.0 (1080/50p) format. There is also a Slow & Quick Motion feature that achieves smooth 2x slow motion when recording at 25p or 50x quick motion when 1 frame per second is recorded in 50p. In addition to the 20x optical zoom, Clear Image Zoom with Super Resolution Technology provides an extended 40x zoom range with excellent clarity and detail and no effective pixel loss. A built-in LED light, WiFi/NFC remote control capability, and a larger 3.5 inch LCD panel for enhanced viewing add to the versatility of this multi-purpose camcorder, putting the finishing touches on an advanced system that offers unprecedented video recording freedom. The 1920x1080 full HD 3x Exmor CMOS sensors system provides a 2.07 million effective pixel count in a 16:9 aspect ratio. Red, blue, and green light are independently and accurately captured by separate image sensors, contributing to high resolution, high sensitivity, and wide dynamic range that translate to extraordinarily natural colour reproduction. High performance Sony G lens with 40x zoom range. Provides 28.8mm (35mm full-frame format equivalent) angle of view at the wide end. 20x optical zoom plus Clear Image Zoom provides total 40x zoom range, rivalling that of optical zoom. Clear Image Zoom offers effectively no quality loss and no pixel loss, with 2M full resolution kept using Super Resolution Technology. HD video is recorded in AVCHD 2.0 format with a high 50 fps frame rate that achieves smooth, natural subject motion. 50i and 25p modes provide playback compatibility with Blu-ray players. The camcorder can also record in DV standard definition. 2x slow motion can be easily achieved by setting the recording format to 25p and the frame rate to 50 fps. If you’d rather speed up the action the frame rate can be set to 1 fps for 50x quick motion. Minimum illumination of 1.2lux (1/30) or 1.0 lux (1/25). The HXR-NX3 imaging advantage begins with a superb Sony G Lens that offers stunning image quality as well as a wide zoom range. Behind that lens is a 1920x1080 full HD 3x Exmor CMOS sensors system with three 1/2.8-inch sensors providing a 2.07 million effective pixel count at the 16:9 aspect ratio. Red, blue, and green light are independently captured by separate image sensors, contributing to high resolution, high sensitivity, and wide dynamic range. An advanced LSI (that includes advanced noise reduction, improved detail reproduction, and several distortion correction technologies) handles image processing and delivers notable improvements in overall image quality. Recorded images are remarkably lifelike in texture and detail. HD video is recorded in AVCHD 2.0 format with a high 50 fps frame rate option. 50i and 25p modes provide playback compatibility with Blu-ray players. The ability to record in DV format is also provided for users who prefer a DV workflow and who need to work in a DV compatible non-linear editing environment. Two media slots can record in either Simul or Relay mode. Simul mode permits simultaneous recording to two memory cards, while Relay mode automatically switches recording from the first to the second memory card when the first is full. The user can set up the two Start/Stop buttons on the HXR-NX3, one on the grip and one on the camcorder body, to independently start and stop recording on different memory cards while recording in Simul mode. A built-in LED video light is included just above the camcorder’s built-in microphone, providing convenient illumination for a wide range of shooting situations and minimising the need to carry external lighting equipment. Illumination is approximately 200 lux/1m (approx. 800 lux/0.5m) with a beam angle of 30° and a colour temperature of approximately 5500K. 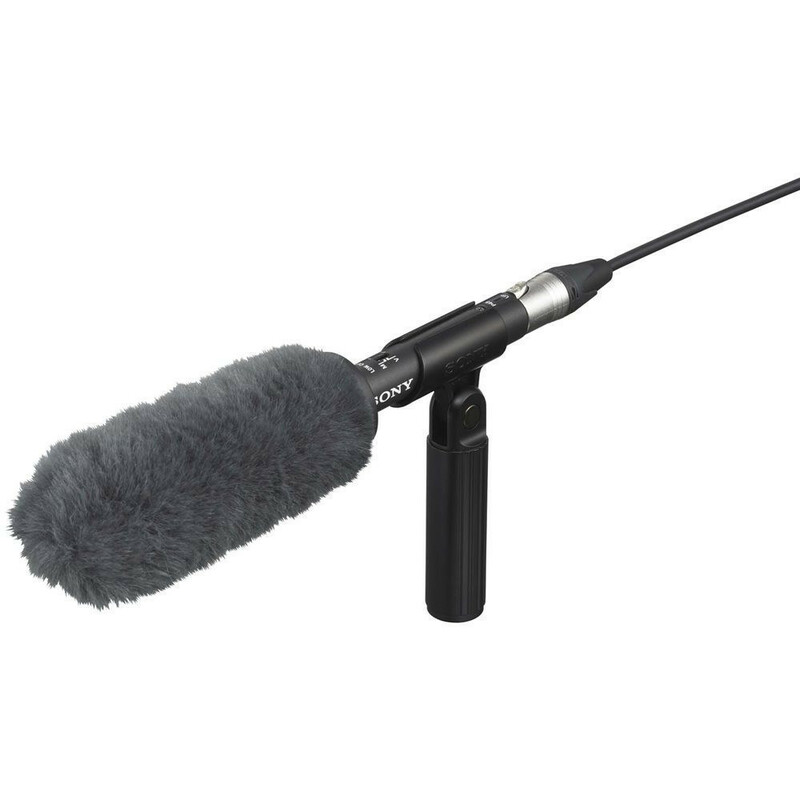 *An external microphone connected via the XLR connector may cast a shadow if used simultaneously with the built-in LED video light. The HXR-NX3 can be remotely controlled from a smartphone or tablet computer (iOS 4.3 through 7.0 or Android 2.3 through 4.3) via a WiFi connection, and recorded video files can be transferred from camcorder to smartphone in MP4 format. ** One-touch authentication is also possible with smartphones that offer NFC connectivity. Remote control features include monitoring of camera material on the smartphone display, record start/stop, zoom, aperture, and touch AF. The required PlayMemories Mobile smartphone application can be downloaded from the Google Play Store or App Store. * WiFi operation cannot be guaranteed with all smartphones and tablet computers. ** The HXR-NX3 allows simultaneous MP4 + AVCHD recording except for the 1080/50P. Timecode and user bit settings are important features for professional applications. Timecode is essential for efficient non-linear editing of live footage from multiple NXCAM camcorders. 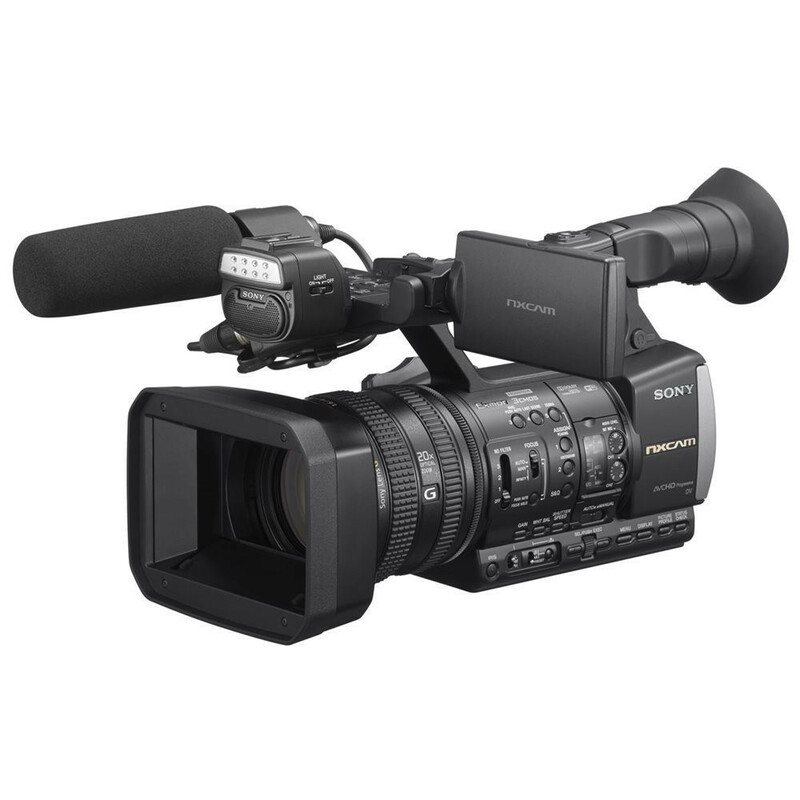 Like other Sony NXCAM camcorders, HXR-NX3 timecode can be reset from the supplied infrared remote control unit, and this allows multiple cameras to be reset simultaneously for easy synchronisation. For extra sync versatility, timecode and user bits can also be output via the camcorder’s HDMI jack. The Intelligent Auto* feature makes it easy to capture beautiful images in a wide variety of shooting situations. This handy feature automatically selects the optimum scene setting from three groups of ten scenes. For example, Intelligent Auto might detect that the user is walking while shooting and automatically select the “Walk” setting from the “Camera Shake” group to ensure that optimum image quality is achieved. * Image stabilisation is automatically set to ACTIVE mode when using the iAuto feature. Scene Selection provides professional users with seven presets optimised for situations likely to be encountered on assignments. For example, the Sunrise & Sunset preset instantly optimises the camcorder settings for beautiful reproduction of sunsets or sunrises. The Spotlight preset is ideal for shooting events or similar situations that involve spotlights and stage lighting. Scene Selection is just one more way that the HXR-NX3 can make your job easier. Sony NP-F Style DV Battery, 7.